Beaver Marsh in Cuyahoga Falls. 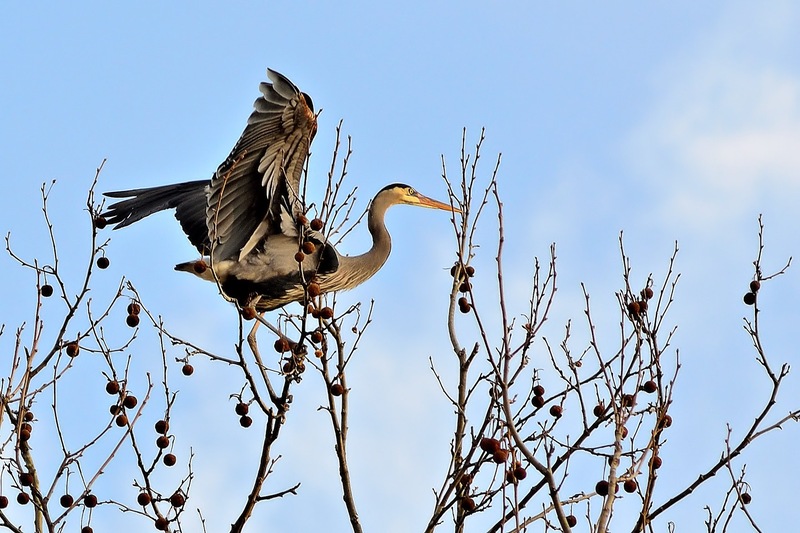 CLEVELAND — There is a special and unusual spot in the Cuyahoga Valley National Park that has attracted dedicated bird watchers to come back, year after year, to witness the arrival of the Great Blue Herons. 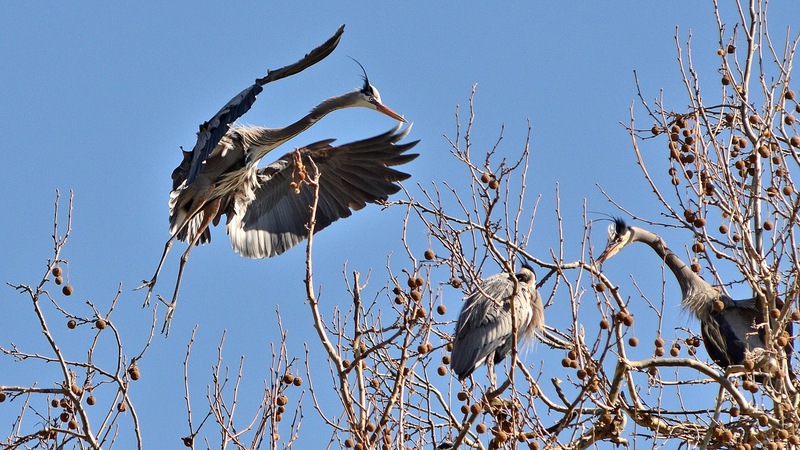 This year, the Blue Herons came back a week earlier, around Feb. 20, to a nesting spot known as the Bath Road heronry, located between Akron Peninsula and Riverside roads. This spot is unusual because it’s near a busy road, and blue herons typically nest and stay in more secluded areas. Their presence has caused bird watchers and nature enthusiasts to flock to the spot to see the herons perched in the trees. Wooster resident Jerry Cosyn has been photographing these birds for about three years. “I do enjoy watching them, particularly in the spring, when they're busy remodeling and repairing the nests, laying eggs, and raising their young," said Cosyn, who works in the Fairlawn area, giving him a short drive to see these birds bond. Photo taken of the blue herons at the Great Blue Heron Viewing Area on March 12, 2019. Photo by: Jerry Cosyn. The Bath Road occupancy peaked in 2003 with 176 nests recorded. According to the Cuyahoga Valley National Park, the loss of several tree limbs after storms contributed to the decrease in the number of colony down to 142. In 2016, 96 nests were recorded. The first ever record of nesting blue herons in the park was documented in 1985 in the Piney Narrows, located on the west side Cuyahoga River, about a half mile north of the Station Road Bridge Trailhead. These majestic, striking birds, standing at 4-feet tall and weighing at slightly four pounds, are seen in their nesting colonies or in the wetlands, where they feed on small fish, amphibians and a variety of other aquatic invertebrates. Male herons usually return to nesting areas in early February to claim their nests before the arrival of the females two to three weeks later. March to early April is a good time to observe nest building. One thing to keep an eye on is the courtship behaviors between the male and female. In a romantic-kind-of-way, a male will gather a stick and present it to the female, who then takes the stick and adds it to the nest, strengthening their bond.